Landscape rocks are available in a multitude of shapes, colors and textures to enhance the look of any lawn or garden. Everyday exposure to the elements may cause dirt and debris to build up on your landscape rocks, dulling their appearance. 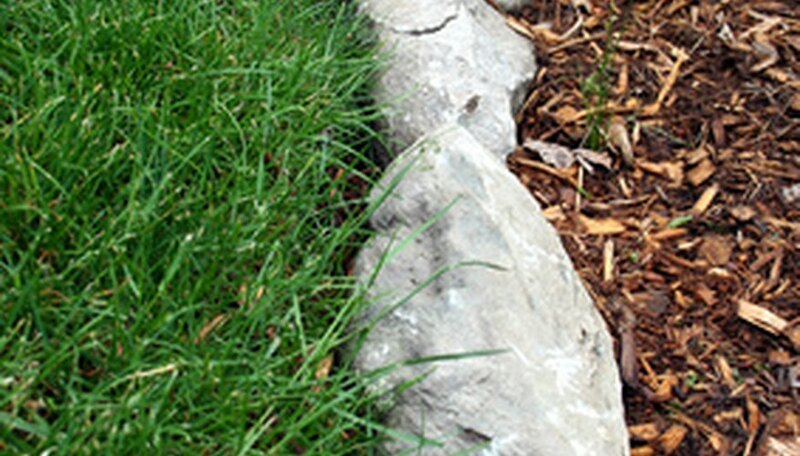 Clean your landscape rocks at least once a year to maintain their colors and textures. Regardless of the type of rocks you have, avoid using strong cleaners like chlorine bleach or muriatic acid. These chemicals are toxic to plants and may damage your garden or landscape. Fill a bucket with 1 gallon of warm water and 1 tbsp. mild dish soap. Sweep dirt and debris from the surface of the rocks using a broom. Spray the landscape rocks with a garden hose. Dip a scrub pad in the bucket and scrub away any dirt from the rocks. Use steel wool if the rocks will not come clean with a scrub pad. Rinse the landscape rocks with your garden hose and allow them to air dry for a day. Fill a bucket with 1 gallon of warm water and 1 to 2 tbsp. dish soap. Spray the landscape rocks with a garden hose to remove any excess dirt or debris. Place the landscape rocks in the bucket of soapy water and agitate the rocks gently with your hand. Allow the rocks to soak in the water for at least 30 minutes. Scrub any dirty landscape rocks with a scrub pad or steel wool. Remove the landscape rocks from the bucket and rinse them thoroughly with a garden hose. Move the rocks to their original position and allow them to air dry for a day. Try to clean landscape rocks on a dry, sunny day to aid in air drying.